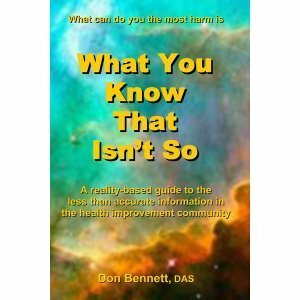 At a young age, Don Bennett discovered inconsistencies within the health field such as doctors who smoked and nutritionists who ate foods that were known to be harmful. Being a seeker of truth, he set out to learn the realities of health for himself. Discovering that traditional curriculums were filled with biases, hidden agendas, misinformation and missing information, Don remained self-taught, examining info as a researcher and not studying it as a student, thereby avoiding the hurdles set up by academic tradition. 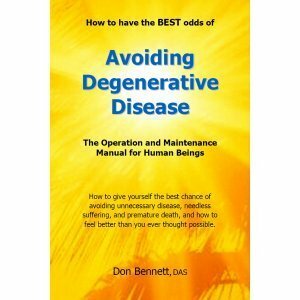 Based in South Florida, Don, 58 (“relative biological age, 35, and forever young at heart”), is the author of Avoiding Degenerative Disease and The Raw Food Diet and Other Healthy Habits: Your Questions Answered. His website is Health101.org and YouTube channel is Health101DOTorg. Explore Don’s guest stories, Don Bennett Says …, for Fruit-Powered Digest. Don answers questions by Brian Rossiter in this Closeup interview. Don, you’ve been eating a low-fat, fruit-based raw food diet for two decades and a vegan diet for three decades. I like to ask folks who’ve made such significant dietary changes whether they find themselves feeling more vitality with each passing year or whether they’ve plateaued. How do you feel? Physical activity is a core component of Don Bennett’s lifestyle. There were times I’ve thought that I couldn’t feel any better than I was feeling … that I had “arrived,” that I had to be feeling the best I could possibly feel. And then I was proven wrong because I made a “tweak” and I felt subtly but noticeably better. Which just goes to show that at any one moment in time, no health educator has all the answers to the question, “What do I have to do to be the healthiest me possible?” Some will have more answers than others, and these are the folks who should be sought out for guidance, but we all should remain on our learning journey, especially the health educators since they have a huge effect on other people’s health. So today, I feel “great!” But ask me again in two years after I’ve done research on another nutrient that I maybe lacking in, and I may be feeling better than today. My point is that in our modern society, we can never truly know how great we can feel and function, and there may always be room for improvement in these areas. So as far as I’m concerned, I’m still a work in progress. On this diet, what has healed and what has not? There have been two categories of things that have resolved: the ones I know about, and the ones I don’t know about. I mention this because it is so very important for people to understand that just because they’ve healed all the things on their list doesn’t mean that all the things on their body’s list have been taken care of. And to finish off your “list of unknowns,” you may still have to make more improvements in your lifestyle practices so you don’t get a rude awakening in the winter of your life. But on my list, the things that have improved or resolved are: my vision (I don’t need to wear glasses anymore); the tinnitus is gone, which is ringing in the ear, which one of the top neurologists in the country said I’d have for the rest of my life; and Post Inflammatory Hyperpigmentation, which is a “permanent sunburn” due to DNA damage has greatly improved; and my digestive system is functioning at optimal efficiency (again) where the amount of work I do can be fueled with less calories than 20 years ago. And I can be reasonably sure, based on long-term chemical exposures that I’ve had that were later found to be carcinogenic, that there was probably cancer developing in me over the decades following that exposure; all empirical evidence would suggest this. But when you consider that the body prioritizes its “To Do” list and will obviously deal with the most life-threatening items first and will leave the least serious issues till last (because of its finite amount of nerve energy in any one day), that if I had any serious conditions, they would have been dealt with before the body got around to working on healing the tinnitus I had for 10 years. When I realized this, it was truly a “Woo-Hoo!! !” moment. What has not healed and what will not heal are the birth defects I was born with. Ironically, these were caused by a nutrient deficiency my mom had, which was caused by a pharmaceutical med she had to take. But I’ve found that my body is better able to deal with those defects the healthier it is. What foods do you enjoy on an average day in the fall at your home in Florida? 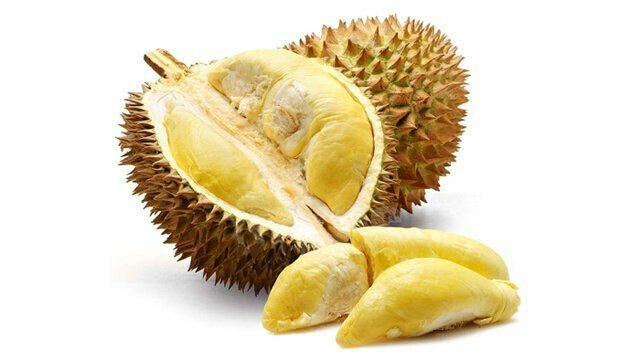 Durian is a tropical delight for many raw fo0ders. Read more about this fruit in Fruit-Powered Fun Food Facts. I should say that there is no “average” day for me. There are certain “staples” like bananas that I do tend to eat almost daily, but other things vary not because of season, but because of what I’m—my body—is in the mood for. And I’m fortunate to be able to get some bananas grown locally; the little ones, which are so much more scrumptious than the typical Cavendish bananas. I also eat durian, papaya, grapes, kiwi, citrus fruits, berries, melons, some occasional spinach, and I’m sure there are other things that don’t come to mind. Obviously some foods are not in season here, and not even grown here, but fruit is what I want, intellectually, emotionally and physiologically, so fruit is what I seek out. My body feels its best on those days when everything I ate that day was a tropical fruit. So if it’s a choice between an apple or another temperate zone fruit and a tropical fruit, the tropical fruit would always win. Over the course of an average year, can you give us a snapshot of the foods you eat most regularly? That would have to be bananas, melons, papaya, mangoes and, although not technically a food, the nutritional adjunct I add to my diet to compensate for the nutritionally sub-par quality of the foods I eat. As I’m fond of saying: Food matters, nutrition matters more. When we focus on specific foods of a diet and not the nutrients that the diet should be providing, that’s one of the reasons people fail to thrive. What kind of physical activity do you enjoy these days, and based on your research and experimentation, what are the best forms of exercise for human beings? My physical activities remain pretty much the same throughout the year, with a notable exception that I’ll mention in a moment. I’ve found that I tend to enjoy the activities that the human body was designed to do on a regular basis, like walking, climbing and an occasional sprint. My body does not enjoy all those things that we humans have discovered that we’re able to do. Just because we’re able to do something doesn’t mean we’re able to do it without consequence. So since I have come to have a tremendous respect for my body, I don’t do those physical activities that would burden it in some way. I realize that people who are into some of these activities can have a difficult time wrapping their heads around this concept, and I understand the reasons for this, but, nevertheless, this is the healthiest way for everyone to treat their body. The exception that I mentioned above is climbing. There was a time of my life when I had access to a very tall tree in my backyard, and I thoroughly enjoyed climbing it almost every day. And there was another time in my life where I had access to a climbing gym, where I could climb their rock walls to my heart’s content. Again, I loved it. There is no better exercise for the body than climbing. It works all the muscle groups and does so in a zero-impact way (unless you fall). But where I live now, I don’t have access to a climbing gym or climbable trees, so I joined a gym and I use the machines there to replicate the movements I’d be doing if I were climbing. So I have to resort to this unnatural activity to work those same muscle groups in a similar way to what I’d experience when climbing. And it’s certainly not the same thing, but it’s a close second. And I am of the opinion that whatever we’d be most suited to doing when we’re 90, we should be doing today. 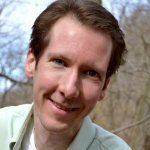 I just did an interview with John Kohler about my opinions on physical activity, and maybe you could include it within this interview. Generally, what time do you go to sleep and what time do you rise? If I had my druthers, I’d rather go to sleep when it gets dark and wake up to the sunrise. I do always wake up when the sun does, but sometimes I fall back to sleep because I went to sleep later than I should have. Why am I staying up past the point where I should hit the sack? Because I’m dealing with time-sensitive issues that require my presence at this thing which I have a love-hate relationship with … the computer. It allows me to do marvelous things, but it can also be a double-edged sword. I should say that I don’t deprive my body of the sleep it requires, I just don’t always have the sleep time-frame that I’d prefer. But since I don’t have to wake up to an alarm clock, on balance, it isn’t so bad. Normally, I go to sleep when I get sleepy, and I wake when I’m rested. I know the value of sufficient Phase 4 sleep, and have written about it in my article on sleep. What are your three favorite things about leading a mostly fruitarian lifestyle? My favorite things are how it allows me to feel, both physically and emotionally, and the joy of having in the back of my mind the knowledge that this way of eating contributes to giving me the best odds of experiencing my longevity potential, my quality-of-life potential and my happiness potential. Another favorite thing is the like-minded people I’ve met who I’m now friends with. And last but not least, the experience of doing this for over 20 years—successfully—which helps me counsel others so they can benefit from my experience. Arnold Kauffman of Arnold’s Way cites page numbers in this book practically daily when patrons ask about health issues. Unfortunately, yes. And I say “unfortunately” because I wish this was a book that didn’t have to be written and because I’m not looking forward to writing it. But I am looking forward to all the help it’s going to provide and to all the people who will benefit from it. It’s a book I never thought I’d write, because it’s essentially a “diet book.” And I’m writing it for two basic reasons: a large number of the people who come to counsel with me say something to the effect of, “I’ve been doing the XYZ diet for almost two years, and I feel like I’m not doing well, like something’s wrong” or that the health condition they adopted the diet to resolve, didn’t resolve. But the point is, they always mention “a diet” by name. They don’t describe their diet to me, they tell me the name of it. The reason I wrote my first book was because people who came to my lectures and classes kept telling me that I should write a book, so I did. And now it’s become obvious that people need a name for the diet they’re eating. And to a certain extent, this makes sense because those people who aren’t eating a typical Western diet or another “cultural” diet, are following a diet plan of one kind or another (which we wouldn’t have been doing a very long, long time ago). So after years of hearing, “You should have a plan!”, I’m now penning a plan because it will be seen as a helpful tool by a lot of people. It’s called The Foodtrition Diet, and that’s because of my firm understanding that food matters, but nutrition matters more. And don’t misunderstand, I’m not saying it doesn’t matter what foods you eat as long as you’re getting enough of all the nutrients you require, because it’s vitally important what foods you eat. But one of the major reasons people fail to thrive on the diet that is their primary diet is due to the notion that as long as they don’t cook what they eat, and as long as they eat enough variety and are active enough to warrant eating enough food, they’ll get all the nutrients they need. And this is truly a lovely notion, and I’d love to believe it, but I can’t because I know it’s simply not true in today’s world. 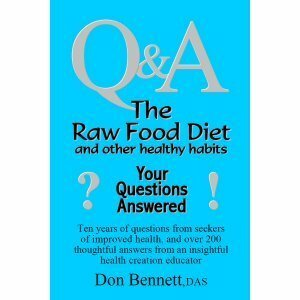 Don’s second book is chock-full of quality questions and answers on a raw food diet and living healthfully. The other reason I’m writing the book is because of the tons of dietary misinformation that abounds today. When I started teaching about healthy living and healthy eating, I was pointing out the misinformation regarding the animal-based and grain-based diets. But now that a raw food diet went from being a fad to a trend to a market and is now an industry, misinformation and miseducation is all over the place, thanks to both business-oriented people and to well-intentioned, well-meaning people who are unknowingly increasing the amount of incorrect information. So I’m now having to apply the same motivations I had at the beginning of my work to this new problem, which is really the same old problem that’s been with us since time immemorial when you think about it. So the book will make the points mentioned in my “beginners” DVD, while also describing a way of eating that people can both follow and understand why it’s what they should be eating if possible (assuming they want the best health possible). And I feel that the explanations are important so people can plainly see why the information is correct, as opposed to information that implies that this is the way to go but doesn’t explain why. Some or even many raw fooders, it could be said, struggle with teeth issues, especially in the early going. What have you learned are common issues and what do you recommend? Some of the common issues are actually common to many of the other things that can go wrong, such as decreased amounts of some nutrients when transitioning from a typical Western diet that contained nutritionally fortified foods to a diet of the foods we’re adapted to eat that are grown by an industry that grows for yield, looks, sugar content, shelf life and any other qualities except nutritional content. And this includes the non-food-provided nutrients, too, like vitamin D. Another common issue is “dental genetics”; how impervious or susceptible our enamel is to the acidic things that can damage it. Although we can’t change our DNA, there are things we can do to deal with the hand we’ve been dealt if we have “weak” dental genetics. We must understand that when transitioning to a diet that is predominantly fruit, we’re going to be passing a lot more sugar by our teeth than when eating a typical Western diet. While this is not a problem for those with “strong” dental genetics, it can be a source of damage for others. But this doesn’t mean that if you have nonbulletproof teeth, you can’t eat the foods to which you are adapted, you just have to compensate for your less-than-stellar DNA. I go into all this in my dental blog. 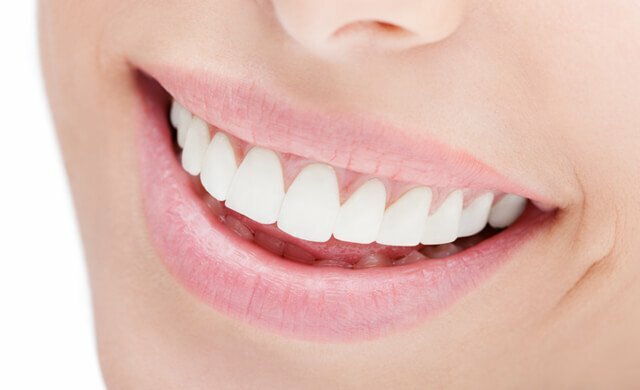 Briefly, the contributing factors are: loss of nutrients that affect tooth and bone health like vitamin D and its co-factors and iodine, the eating of sticky fruits like dates without rinsing afterwards, eating unripe citrus fruits (very acidic), drinking fruit juices, brushing with toothpastes that contain glycerin, and too much nut consumption (the body will make mouth pH more acidic). What are telltale signs someone has “melon belly,” described as discomfort or pain from eating a fruit meal, and not have just eaten too fast or consumed unripe fruit? What is the cause and how can one solve this? The term “melon belly” had been used to describe a wide range of symptoms that can have different causes, so “melon belly” is really just about one of those causes. I say this because some people who thought what they had was melon belly and who then followed advice for dealing with melon belly where there was no improvement, reported that the melon belly advice given was wrong, when in actuality they didn’t have melon belly. Melon belly can be described as a sudden drained feeling where you need to lie down for a few minutes. Although there may also be some discomfort in severe cases, just because you feel pain from eating fruit does not automatically mean it’s melon belly. True melon belly has as its root cause a blood sugar metabolism issue and is not an indigestion issue. If you feel pain follow the eating of fruit but no feeling of being drained to where you need to lie down for a little while, it’s probably not melon belly, and it won’t be helped by following the recommendations I give in my melon belly article. Indigestion from a fruit meal is a whole ‘nuther issue entirely. Here, the culprits can be food miscombining, eating too fast or when distressed or eating unripe fruit. All these are easily dealt with, but since a major cause of melon belly is a nutrient insufficiency, this is not so easily recognized or even believed because of the mistaken notion that we’re getting enough of all the nutrients we need on a fruit-based diet. It should also be noted that a person can experience both melon belly and indigestion at the same time, making a differential diagnosis difficult if not armed with all this info. In The 80/10/10 Diet, Dr. Doug Graham calls for us to consume 2 to 6 percent of our calories from tender leafy greens. What are your thoughts and recommendations on greens consumption? The main reason, in my opinion, for the large amount of greens needed in a plant-based diet is the poor mineral quality of the fruit we’re eating. A reading of Anne Osborne’s book, Fruitarianism: The Path To Paradise will make this clear. Initially, I was eating lots of greens, an amount that surprised Doug. It became obvious to me that I came into this diet with mineral insufficiencies. Eventually, my desires for greens became more average (for a raw fooder), but even this amount is technically more than we should require. Today, I eat very little greens, often going for very long stretches without desiring any. And you might guess that this is because I’m now eating very nutritious fruit, fruit that has the mineral density that it should, but this is not the case. I do not have access to such fruit, I’m sad to say. What allowed my body to eat a more natural ratio of fruits to greens was the inclusion of an unnatural source of minerals, namely, barley grass juice powder (not powdered barley grass). Now, before your readers start questioning my sanity for choosing an unnatural thing (a green powder) over a natural thing (greens), consider the thinking that went into this decision. I acknowledge that I’m not living in my biological “eco-niche”; I’m living in a totally unnatural, modern-day environment where you can’t necessarily apply the rules of nature to any situation. We now need to take things on a case-by-case basis. And in the case of getting enough minerals, we can’t get them from most fruit because of the way the fruit is grown and we also can’t necessarily get all we need from the greens for the same reason. We do, however, get more minerals from greens than from fruit grown in the same soil. And this accounts for our unnatural desire for so many greens. When I started consuming the green powder supplement in an effort to get any nutrients that were lacking in my fruit and green leafies diet, I observed that after a number of months, my desire for greens had diminished, and are now what they would be if I lived in Nature. If this is an “ah-ha” moment for you, as it was for me, it’s because you’re understanding that the body has a nutrient requirement, and that when it’s being met, you’ll get desires for the foods you’re adapted to eating, and humans are not huge greens eaters normally. 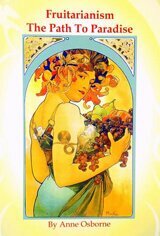 The advantage to the way I’m choosing to get my nutrients? Digesting bellyfuls of greens requires nerve energy, which I’d rather not spend unless it’s important to do so. I’d rather take up my valuable stomach real-estate with more of the foods I am adapted to eat, which are fruits. Plus, the greens you buy from the fruit store, like the fruit, are not grown for their nutritional content. However, a green powder, which is a nutritional supplement, is something that’s intended to provide nutrients. Now, I am quick to say that there are a lot of worthless supplements out there, including some green powders, but not all supplements are worthless. And might this information not be credible if coming from someone who has something to be gained by selling supplements? Of course! Which is the reason I don’t sell them and simply recommend some of the worthwhile ones. And to any readers who think that I participate in affiliate programs, I do not. And I take this approach (and loss of income) so that my recommendations have maximal credibility. 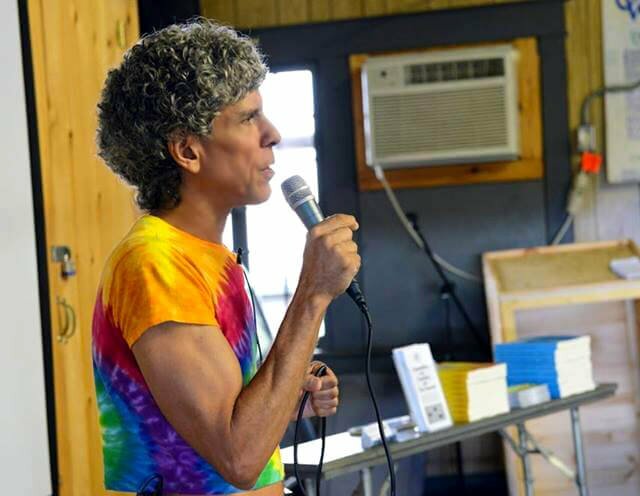 A well-researched resource in the raw food community, Don Bennett shares his knowledge to health seekers at The Woodstock Fruit Festival. Omega-3 and omega-6 ratios have been reported in the mainstream news media in recent years. Should this ratio, as well as the calcium-magnesium-phosphorous ratio, for example, be of concern to a low-fat raw fooder? This depends on just how “low” the amount of fat is in the person’s diet. Usually, when we talk about a “low-fat diet,” we’re referring to the percentage of fat as it relates to the ratio between carbs, fat and protein; we’re not talking about the amount of fat. But the amount of fat (EFAs) and, to a lesser extent, the amount of protein (EAAs), can be a key issue when eating close to the bare minimum percentages. For example, someone eating a diet where their average weekly ratio is 90-5-5 may bump up against an n-3 [Omega 3] deficiency if they’re a couch potato but not if they’re active enough to eat more food than a sedentary person would. So it’s not enough to look at just the percentages; we need to consider the quantities, too. Obviously the chance of having an EFA insufficiency is reduced when a sedentary person eats closer to 79-11-10 for example. I mention this relationship between percentages and quantities because I’ve counseled people who were not yet eating the amounts of food their body was designed to eat either because they weren’t yet being as active as their body would like to be or because they couldn’t yet fit enough low-calorie-per-bite food into their inelastic stomach and, as a result of them eating a 90-5-5 diet on average, they were dealing with an EFA or EAA insufficiency/deficiency. Restructuring their diet to something closer to 78-11-11 helped. The ratio of n-3 to n-6 is ideally 1:1, and some low-fat diet eaters who aren’t that active benefit from adding equal amounts of hemp and chia seeds to their banana smoothie (resulting in a higher-fat tropical fruit that resembles other semi-fatty tropical fruits). Again, this is not something we would have (or could have) done in Nature, but that’s not where we’re living now, and most of us weren’t raised as raw foodists from birth, so we need to make certain accommodations for the environment we’re living in now and for our own present state of digestive efficiency and health. The calcium-magnesium-phosphorous ratio, just as with the sodium-potassium ratio, can be unbalanced because of how the foods from the agri-based food supply system are grown. Those farmers fertilize the soil with lots of phosphorous and potassium, but not with magnesium and sodium. So to those who say that adding nutrients to our meals is unbalancing the nutrient balance of those foods we’re eating, I say that the farmers already unbalanced things, and we’re merely trying to compensate for what they did. The human body will jump through hoops to achieve balance—homeostasis—so what’s wrong with us doing the same thing by trying to provide the body with the nutrition it requires. Again, we wouldn’t have had to be concerned with things like the calcium-magnesium-phosphorous ratio, the sodium-potassium ratio, the iodine-selenium balance, Omega 3 to 6 ratios, getting enough D, etc. if we were still living in our biological eco-niche, but we’re not. 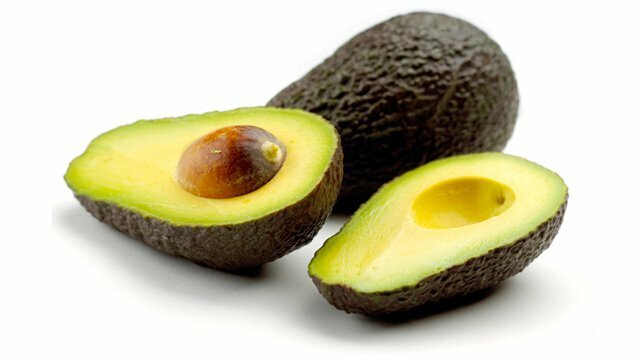 What are the effects on the body and mind of not consuming overt fats such as avocados, nuts and seeds for long periods of time? Do you suggest overt fats be eaten regularly? This subject of “overt fats” really takes care of itself when we look at what we’re designed to eat as opposed to eating based on labels such as “fruits, vegetables, nuts and seeds.” There was a time when that simplistic phrase wasn’t used, and instead you heard “fruits and leafy greens with the variable addition of nuts and seeds” in an effort to point out that the diet was mainly fruits and greens. Today, thanks to the efforts of people like Anne Osborne, we’re starting to realize that even “greens” aren’t supposed to play as big a part as many people believe and, more importantly, why this is so. But nuts and seeds are also something that shouldn’t be as large a part of the diet as many people believe them to be. Indeed, there are raw food potlucks where just about every dish is made with nuts or seeds, and there is even a label for these foods, “gourmet raw foods,” which is one of the reasons I’m writing my third book. And the only real “overt” fat fruit is avocado. Durian, having half the fat of avocado, is a semi-fatty fruit, so you can certainly eat more of it or eat it more often than avocado. So, yes, there can be definite detrimental effects to both body and mind, but not from too little overtly fatty foods per se but from too little EFAs and EAAs, as I spoke about in my previous answer. And some of these can be problems with skin, hair and nails; vision issues; unwarranted sadness, poor handling of stressful situations or sub-clinical depression; poor digestion; weakness; and it can affect glands and, thus, the hormones they produce, which can cause a lowering of the metabolic rate, which can cause weight gain or handicap weight loss. And it can even cause heartbeat abnormalities, asthma and a lower DHA status, which is associated with an increased risk of Alzheimer’s. So the idea is to figure out how to get enough EFAs and EAAs without eating too much fatty foods. Granted, not everyone has access to durian, which I think is preferable to avocado, but there are a lot of people who do have access to both but who get avocados because it’s easier and never get durian, which is a great source of sulphur, which the body requires. So to focus on the inclusion of some foods that we hear mentioned a lot to the exclusion of other foods that we have access to, is not being as helpful to ourselves as we can be. 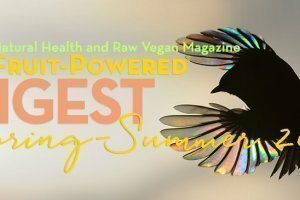 How critical is a wide variety of food to a raw food diet and is there a danger in the long term of eating two or three kinds fruits regularly as monomeals? The value of variety, apart from not getting bored with a diet, is to get enough nutrients. There’s even wisdom in having variety of the same food that comes from different growers in case some have more of certain nutrients than others. Think about it: If one food, let’s say the banana, had all of the nutrients we needed, and all of the EFAs and EAAs, we could live on bananas indefinitely. But since bananas don’t have everything we need, this is why we can’t live on “banana island.” We can only visit. So again, the conversation focuses on the prudence of eating a variety of foods, but I think it should also focus on the acquisition of getting enough of all the nutrients we need. And eating a variety of foods can certainly help with this, but it doesn’t guarantee it even when eating enough calories and not cooking what we eat … not today anyway. And I could say that it was safe to eat less variety a long, long time ago but that, today, eating a variety of foods is more important. But then again, if this vast variety of foods all come from the same place—an agri-based food supply system—you can see that variety alone won’t be enough to ensure we get what we need, so variety should include foods from different types of growers (and I’m not referring to conventional farmers who use pesticides). This underscores the importance of getting the less common tropical fruits. And it can also be said that if you’re consuming a nutritional adjunct to your diet, this “carries some of the load” that variety is supposed to provide. Consuming a smoothie isn’t eating as nature designed, but are there potential problems with enjoying lots of fruit and green smoothies? I can share with you what I’ve intuitively landed on as to what I eat in this regard. I consume a smoothie every day not because I want to but because it allows me to add the green powder supplement that I use. But it’s a simple smoothie, bananas and the green powder, because simple is best for the digestive system. Variety is good over the course of weeks, but simplicity is called for at each meal. A smoothie is also a great transport medium for getting seeds into your meal. A banana smoothie and seeds yields a higher-fat banana. 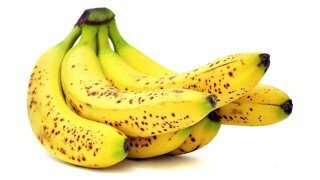 And a banana smoothie plus seeds plus some green powder supplement yields a higher-fat, appropriately nutritious banana. A smoothie also has the advantage of being able to get more bananas into a person than by eating the bananas as bananas. And for a more calorically dense meal, a banana smoothie can include some dates. If you find that you need to add powdered sugar to a smoothie, this is akin to a warning light on your body’s dashboard that’s telling you you’re being overactive and to dial things down to where you don’t have to add sugar. So smoothies obviously have advantages, but anytime you’re doing unnatural things, there can be downsides. Just because you are able to drink down a smoothie doesn’t mean this is OK. 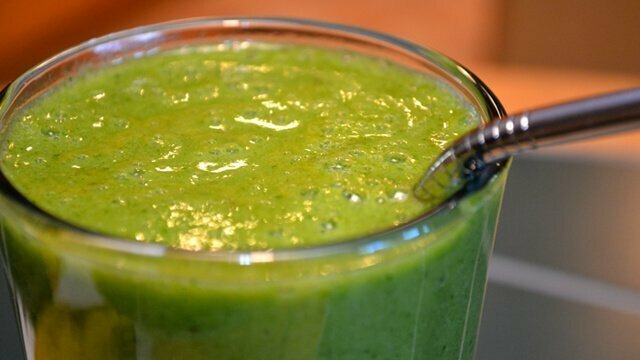 Explore green smoothie recipes such as this one, Green ‘n’ Clean Smoothie. When consuming a smoothie, we need to replicate what we’d be doing when eating normally. So we need to chew the smoothie even if it doesn’t require chewing. This is for two reasons: Chewing signals the brain to do things, and chewing mixes saliva with what you’re eating which is needed for complete digestion. And we must be willing to feel that we needn’t finish the entire smoothie. Just as you wouldn’t feel like you had to finish an entire shelf of bananas, if you made more smoothie than your body wants at that meal, you need to save the rest. Conversely, what if you didn’t make enough? What if you used five bananas in the smoothie, but you would have eaten seven bananas if eating them as bananas. Will you now make another smoothie? Probably not. So we need to be vigilant when doing unnatural things. Our soils leave a lot to be desired compared with just a couple of generations ago. What is your list of nutrients a low-fat, fruit-based raw fooder should be most concerned with and what are your recommendations on supplementation? I’ve come to call three nutrients in particular the “problematic” nutrients because my testing of clients (mostly raw vegans) over the years has shown these nutrients to be the ones that most people are lacking in and the ones that cause the bulk of symptoms and ill-health issues. They are D, B12 and iodine. So one of my services is specifically testing and evaluating these problematic nutrients. I’ve written B12 and D articles that allow those who can take a DIY approach to things to self-assess and self-correct these nutrients (which are not food-provided nutrients by the way). 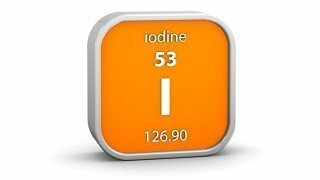 Iodine, on the other hand, does not lend itself to a DIY approach, and should be assessed and corrected with the guidance of an iodine-literate health practitioner. And I’m sad to say that among raw food educators, I’m one of the only ones to fit this description, and part of the reason for this is the perception that we needn’t be concerned about the food-provided nutrients. Indeed, a moderator on one of the popular raw food forums tells people who are concerned about getting enough iodine for example, to simply eat enough food and they’ll get enough iodine. But since in reality this is not true, this is yet another reason I’m writing another book. It should be noted that there are great tests for the three “problematic” nutrients but not for all of the nutrients we need. So my approach is to deal with those nutrients that can’t be tested for in any diagnostically revealing way by covering your bases and consume a nutritional adjunct to your diet. The one I use is featured on my website (but I don’t sell it). Do you take and recommend blood tests or other tests to ensure we’re meeting our needs? Absolutely! And I do not recommend testing only when you notice symptoms; this is not a prudent thing to do in my opinion. This is a case of “better to be safe than sorry”. Even in mainstream medicine, if the TSH test comes back within range, you are proclaimed to have normal thyroid function even if you have symptoms of an underactive thyroid. So there are many tests that have no diagnostic relevance, like the B12 blood test, and the iodine skin test. As I mentioned, the B12 and D tests are discussed in my articles on D and B12 on my website, and everyone should do iodine testing, regardless of your diet, but especially those people who don’t use lots of table salt. The reasons for this are discussed in my iodine article. Some struggle to lose weight even while on a raw food diet with an emphasis on fruit. 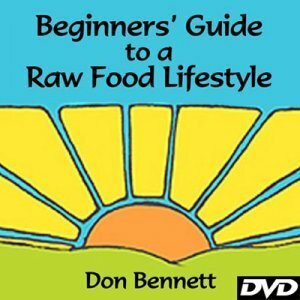 What are your recommendations for weight loss on a low-fat raw food diet? The person needs to be active in some way. They need to be well-hydrated. They need all the sleep their body requires and enough deep sleep, which can be interfered with. And they need to be sure they’re not eating more calories worth of food than they require for the amount of physical activity they’re doing. I have a great article on figuring out how many calories an individual should shoot for, and it is truly an individual thing. Recommendations for one caloric goal for all men and one for all women do not take into account this individuality aspect. And although a one-size-fits-all approach is easier than figuring out a personal caloric goal, if it turns out to be more calories than the person should be eating, this can make the diet more difficult to do for reasons of expense, not being able to fit in all that food and the potential for weight gain or handicapped weight loss for those people with “slow” metabolisms. Since everyone wants to succeed, it makes sense that everyone eat according to their actual need and not an arbitrary number of calories, in my opinion. The focus for many new to the raw food world and looking for improved health is on food and, for many of them, exercise. 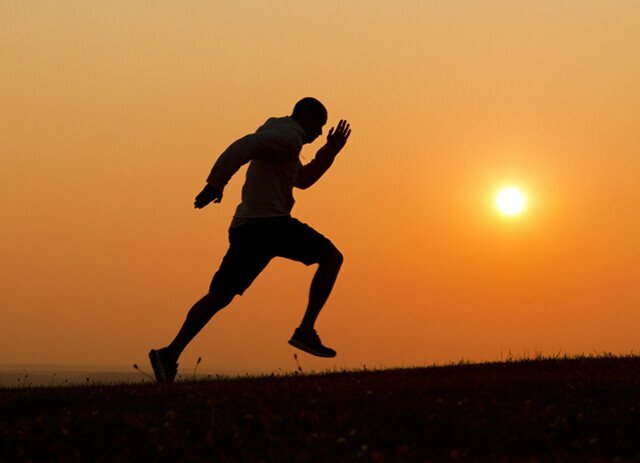 What are the other key areas you identify for a person’s health to soar? 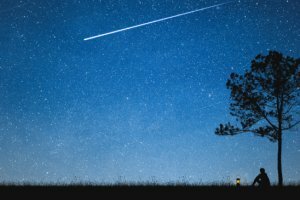 Sleep is critically important, and I advise reading my article on it. Toxin avoidance is crucial, and there are some toxins that aren’t as obvious as others like the chlorine in shower water and the fluoride in drinking water. Sunshine is needed not just to make D in the skin but also to shine through the skin and irradiate and disinfect your blood and lymph. My website’s article on D goes into this in detail. Support is a much needed and often overlooked issue. Get a “buddy,” someone you can do this with. Be on worthwhile forums, ones with correct information, so you can have friends there. Stress management is another one of the “basics of health,” and there are plenty of things you can do to help with this. But probably the one biggest thing that can affect whether the person thrives or merely survives is education. I’ve been in this health creation arena for decades, and I can say with absolute certainty that there is more mis- and dis-information than there is correct information. Oh, the correct information is all out there, but it’s usually split up between many health educators, some having both solid, spot-on, correct info and also having incorrect info, too. This is why I can count on one hand the number of people who you can follow 100 percent and get 100 percent correct info. So since there is not one formal plan that I’ve found that has 100 percent correct and complete information, to get it you need to take a multi-educational approach. And not to put too fine a point on it, but diet should consist of focusing on food and on nutrition. It seems the push to be 100 percent raw has lost steam in the raw food movement the past few years. 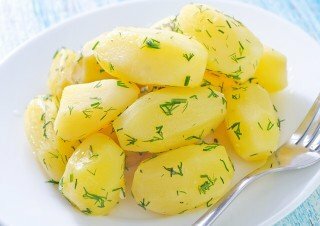 What are your thoughts on one’s consuming fruit for breakfast and lunch and eating steamed vegetables, including potatoes, or even rice and beans for dinner in comparison to eating a wholly raw food diet? There are two basic reasons for this advice in my opinion: 1. To make it easier to transition to an all-raw diet and 2. To have an easier-to-follow program. I take issue with those educators who infer that you can be just as healthy eating an 80/20 diet as you can eating an all-raw diet because this is physiologically impossible (80/20 is 80 percent raw fruits and 20 percent cooked carbs). In my opinion, educators who infer this are just trying to present an easier-to-do diet so they’ll be more popular. There are many such tactics such as saying, “You can eat burgers, pizza, pasta, cookies, cakes and pies every day, and you never have to count calories, proteins, fats or carbs!”—this referring to the wonderfulness of the gourmet raw food diet. On the other hand, educators who tell people that an all-raw diet is the healthiest diet but that there are some cooked foods that can be part of a transition to an all-raw diet, or can be “second-best” foods for when you can’t get any fruit, are being more intellectually honest. So announcements of the “death of the raw food diet” where you’re told that you don’t have to eat an all-raw diet to be healthy are done by marketers for the sake of marketing. With what’s known about raw food diets, no honest health educator is going to give tacit approval to eat cooked foods as part of someone’s regular diet. And you can usually tell who these educators are because you will see them eating cooked food in their videos. In my opinion, any health educators whose intention it is to tell people that all-raw is best but who themselves eat an 80/20 diet is not setting a good example. But, Brian, it all comes down to one thing: How healthy do you want to be? What do you want your odds to be of avoiding a diagnosis of something serious in your future? We all have a health potential. There’s no way to quantify it, and there’s no way to know what it is in advance, yet we all have one. How you live your life will dictate to what degree you achieve your health potential. 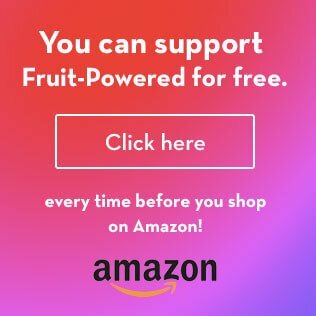 I’ve known people who, once they truly realized this, once they decided just how valuable their future health was, if they lived where there wasn’t any decent fruit to eat or if it was prohibitively expensive to eat on a regular basis, they relocated themselves to where they could get enough fruit. Now, I realize that not everyone can do this, and all we can do is to do the best we can, but sometimes we don’t realize what our “best” can really be and what we’re actually capable of doing. So Step 1 would be to decide how important optimal health is to you, then Step 2 is to decide what you can do to achieve it. All I’m suggesting is don’t fall prey to any program that infers you can have your cake and eat it, too, meaning you can eat some cooked food or gourmet raw food every day and have optimal health. The two are mutually exclusive. If eating one cooked meal a day for months or even years helps to get you where you really want to be, that’s great! If eating some cooked carbs as part of a mostly raw fruit diet must be done because of the availability of fruit, it’s great that you can do that until such time as you can get yourself into a situation where you can eat an all-raw fruit-based diet, if that’s your goal. I’m not the goal police; I’m only here to keep things real and to tell people what they need to hear and not what they want to hear. What are the primary reasons you’ve identified for some people’s inability to thrive on a low-fat raw food diet? 1. Miseducation and following incorrect info. 3. Lack of emotional support to counter negativity. 4. Understanding issues such as the actual cause of cravings so you could do something about them. I’ve tried to address these by putting up an EDU section on my website, which is filled with lot of enlightening info. 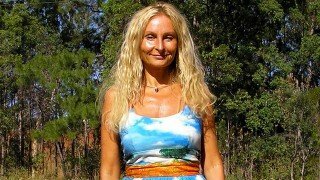 Can you paint a picture of the kind of person who succeeds in transitioning to a low-fat raw food diet? What qualities or characteristics are especially important for a person to have to make it through such a life-changing transition? They are not the type of person to cherry-pick what they’re willing and not willing to do; they will do what’s necessary. They will not allow any of their personal biases to color their otherwise good judgment. They want to know the truth, “though the heavens may fall.” They are not easily influenced to follow someone solely because the person is inspirational; if they discover that a health educator they’ve been following should no longer be followed 100 percent, they bring other educators into their classroom while at the same time crediting their original educator with getting them started. They value their health and realize that every day they’re alive they are going to have a level of health, and they want the best health and quality of life possible. A high level of independent thinking is surely helpful, but independent thinking is not something you’re born with, so anyone can acquire this tool to add to their toolbox, they just have to get used to thinking independently. Some people don’t give a rat’s rump what other people think of them, and this trait is certainly helpful in staying on your chosen path, and those people who are sensitive souls do well when they have a solid support structure. They keep their eyes on the prize, and they treat a fall-off-the-wagon as a learning experience and not as a sign of failure. They acknowledge that it won’t be easy but not because the program itself is hard, but because of the way they’ve lived up until this point. They acknowledge that a new learning curve and a new paradigm is going to take some time to get used to, and they do not see difficulties as a sign that they can’t do it. If they find themselves struggling, they “hit the books” and look for new information that can explain why. They also feel that anything worth doing is worth doing well, especially if it affects their health. How do I get enough iodine if I don’t eat sea salt, where I know they add it in? First, sea salt is not iodized, so there’s no getting iodine from sea salt or from sea veggies for the reasons stated in my iodine article. To answer this question both honestly and responsibly, to get enough iodine you should seek the counsel of an iodine-literate health practitioner and, with his or her guidance, you can correct any insufficiency/deficiency and then maintain a healthy iodine level. By the way, this is especially important for any women considering getting pregnant because it is difficult if not impossible to correct an iodine deficiency while pregnant. If you want the healthiest and smartest child you can have, your iodine levels must be normalized before getting pregnant (in addition to attention being paid to EFAs). What is your experience with clients with hormonal migraines? I have done 811 for almost two years and still get them. I do eat cooked veggies and potatoes, too. Do I need to go 100 percent raw to heal them? Eating an all-raw diet certainly wouldn’t hurt and could only help as long as you consider the issues I’ve mentioned above. Coincidently, one of them is ensuring enough iodine because, without enough, your thyroid gland cannot operate normally, and if it’s not operating normally, it’s physiologically impossible to have normal hormone levels, and that can cause a whole host of issues. Since I’ve gone raw, I’ve noticed some eyelashes in my bottom row have grown inward. The condition is called trichiasis. I have to pluck them out, irritating the eyelids, every few weeks because they bat the pupil. Any idea what this is about? Proper hair growth is dependent on a number of nutrients, iodine being a major one. When we go raw and forgo all processed food, we also forgo any nutrient fortification, and if those nutrients are not in the raw foods we then eat and in the amounts we were getting, as is often the case, we can go downhill in some respects while improving in others at the same time (because of increased nerve energy and decreased burdens), which obviously can make it very difficult to do a differential diagnosis, especially if the person doing the diagnosing isn’t aware of the nutrient connection. If it were me in your shoes, I’d seek the counsel of someone knowledgeable in this area. The symptom you mentioned is unlikely to be the only symptom, and since some symptoms can go unnoticed for quite some time, even seemingly harmless symptoms should be treated as if it were a CHECK ENGINE light on your car’s dash.